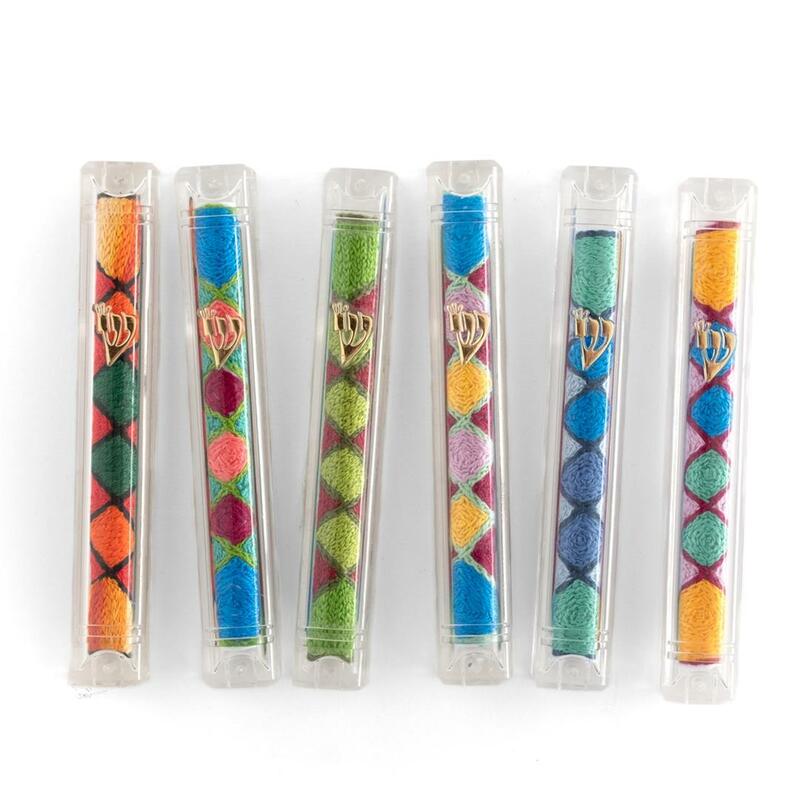 Colorful Ethiopian style embroidery inside a clear plastic mezuzah case. Suitable for a front door. 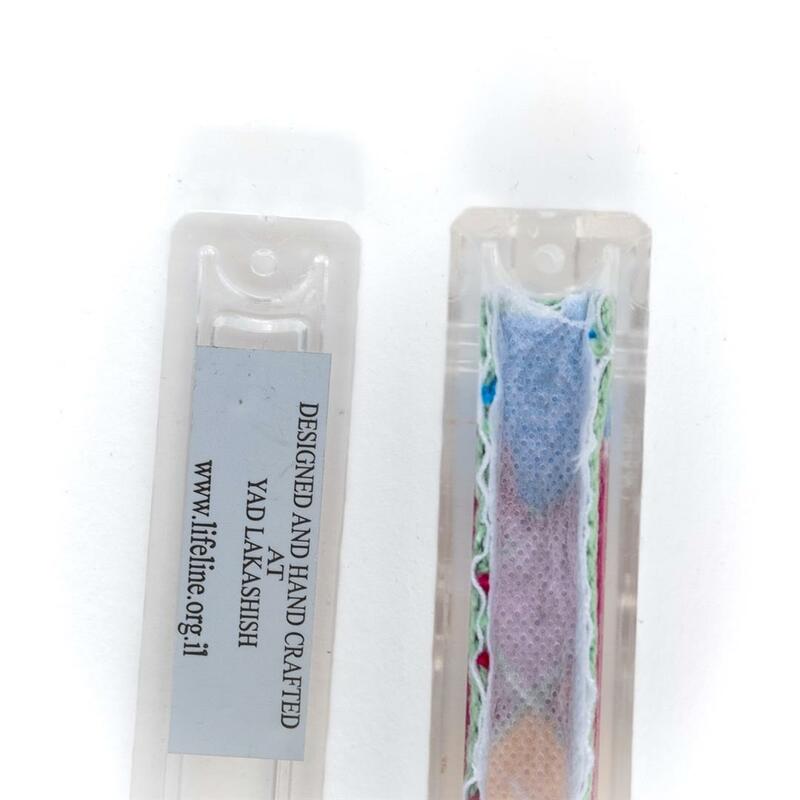 Opening is on the back of the case. 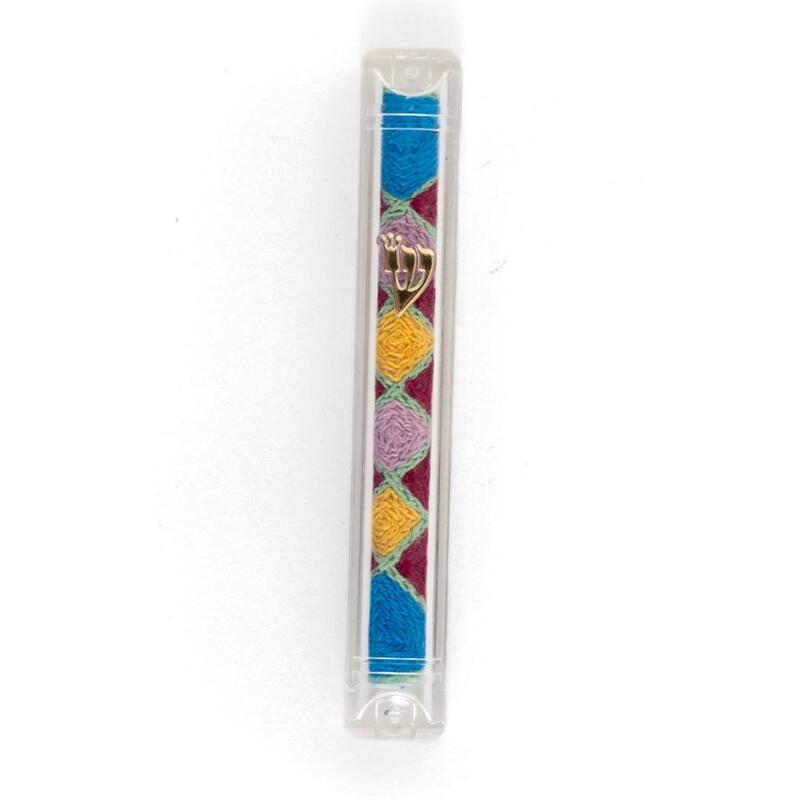 Scroll not included. May be hung by nails directly onto the doorframe. 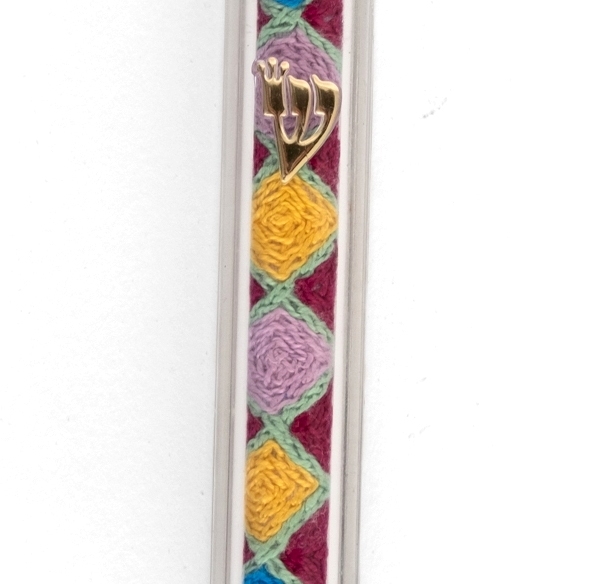 The mezuzah case is approximately 5.5" long and can fit a scroll up to 4.5" long.